Unfortunately resident's in Junction City, KS have access to some of the worst speeds in Kansas with a score of 2. Our Worst Choice score was calculated by factoring together poor Internet coverage, slower Internet speeds, pricing, and unfavorable user reviews. Junction City, KS has a total of 9 Internet providers including 2 Cable providers, 2 DSL providers, 4 Fiber providers, 2 Fixed Wireless providers and 2 Satellite providers. The table below shows the available plans and pricing for HughesNet in Junction City, KS. The table below shows the available plans and pricing for Exede in Junction City, KS. The table below shows the available plans and pricing for CenturyLink in Junction City, KS. The table below shows the available plans and pricing for AT&T U-verse in Junction City, KS. The table below shows the available plans and pricing for Cox Communications in Junction City, KS. The table below shows the available plans and pricing for Pixius Communications in Junction City, KS. The table below shows the available plans and pricing for Vyve Broadband in Junction City, KS. The average cost per month for internet in Junction City, KS is $27.82. There are 9 internet providers in all of Junction City, KS. Junction City, KS offers the highest speed of 200 mbps with Vyve Broadband. 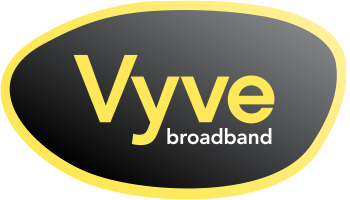 The lowest price for internet in Junction City, KS is $25.00 with Vyve Broadband. Junction City, KS is located within Geary county.